The mudpack contains following mods. Build Craft, Applied Energistics 2, Biomes O Plenty, Carpenters Mod, Ex Nihilo, Extra Utilities, Jabba, Magical Crops, Minefactory Reloaded. Today Tom & Elliot (PMS) talk about there in depth thoughts on Marvel Films, the positives and the huge negatives of one huge American film / comic creator. Today me and Jordan read a funny and stupid creepypasta called Poopsy the Killer, the title pretty much tells you what we are getting into. New Overwatch Hero Moria Thoughts, Mix Up or Originality? Well guys Overwatch has a new hero Moria. At BlizzCon 2017 during the Overwatch world cup, Blizzard announced to add a new support hero to the team called Moria, and as usual it started trending on YouTube with now having over 2 million views since November 3rd. For me when I saw this new hero I had mixed feelings, the concept of the hero was definitely interesting, especially the ultimate ability being able to harm opponents whilst also healing teammates; and the design looks really good. 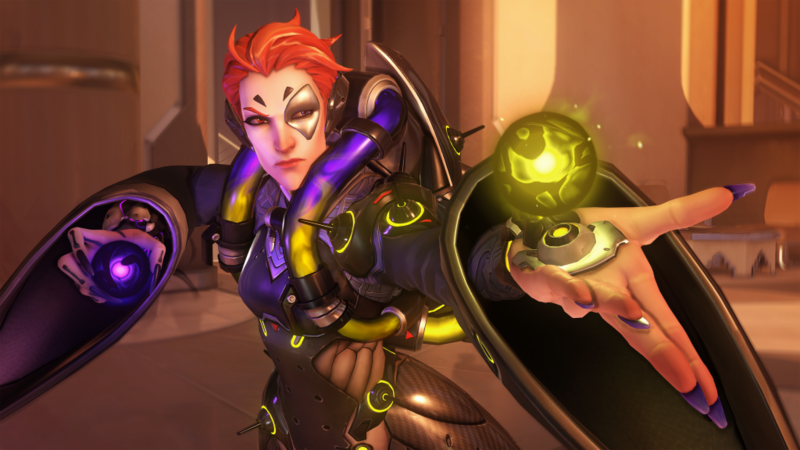 However her abilities seem to be similar to other heroes in the game, she has the teleportation of Reaper except faster on activation, her weapon fire is similar to Symmtera’s which can harm opponents whilst also heal teammates, which is also familiar to Mercy’s healing stream, and she has a positive orb and negative orb similar to Zenyatta’s except they latch onto multiple targets instead of one. In conclusion she is a bit of a mix, I can certainly say that her design looks great, but its her abilities that puts me off, it kind of shows that Blizzard are starting to be running out of ideas. In fact Moira isn’t the only one with copy paste abilities, Orisa is another example of that as well. She has the mini-gun of Bastion as a primary weapon, a deploy-able shield of Reinhardt, a gravitation ball of Zarya’s except not as strong, and a ultimate similar to Mercy’s power boost ability. It defiantly has me concerned that Blizzard are probably going to keep doing copy paste abilities to new characters, lets just hope that never comes to be. Link to the gameplay trailer below. 5 – What is up! 4 – ITS A MINDTRAP! We yet again talking about the latest and greatest news, including Overwatch and Destiny! (Tom’s Favourite) along with that we play a new game called Mindtrap, please let us know if this is any good for you guys. Hi there, yes you heard right, Me Just Jordan has been busy doing some videos for you guys to sit back and enjoy. so Grab a cold one, pop it open and get a glass. Do enjoy the 1940 hog roast, in Steeple Claydon! Good news everybody, Thomas Obaidy now has a copy of Destiny on the Xbox One. So now you can expect some more classic streams with Thomas and Jordan as they try to complete Destiny. We will be mostly doing the campaign missions, if we enjoy playing the game on stream we might consider getting the expansion packs as well.